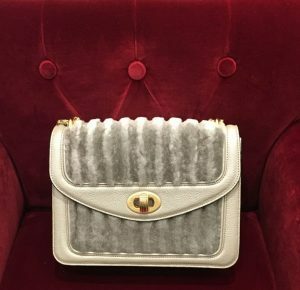 A new bag for the New Year? 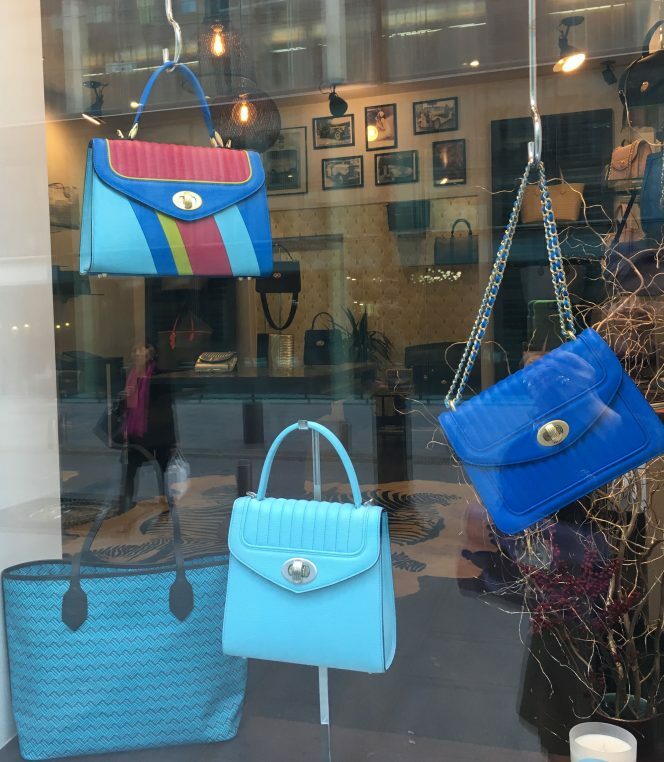 Delage, the leather company created by Philippe de Vilmorin has just opened a shop on 26 place du Marché Saint Honoré, two blocks away for deceased Colette. 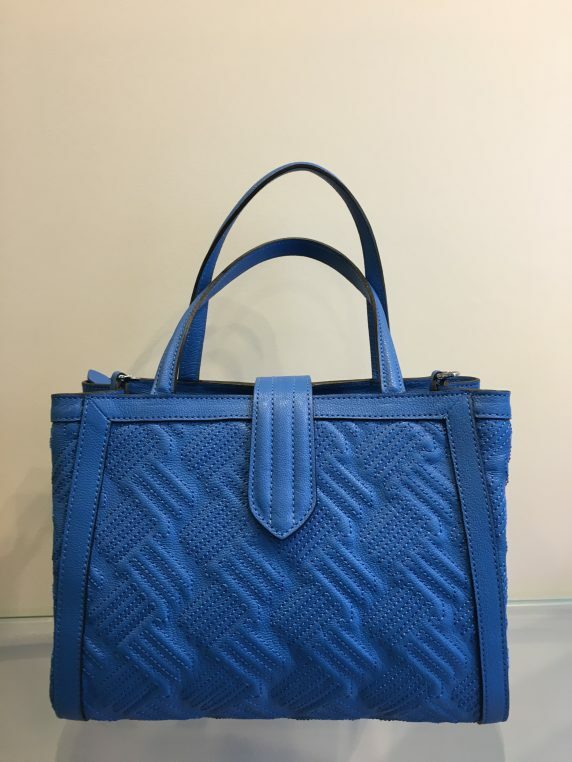 The name comes from the famous car company loved by Minstinguett and other celebrities in the roaring Twenties, the quality of the leather is directly inherited from sadlers and upholsterers of that time. I found three bags that I would immediately adopt: the Lulu canvas bag that you hold on the shoulder to go to the beach, to the market or to the office with your millions of accessories to carry. 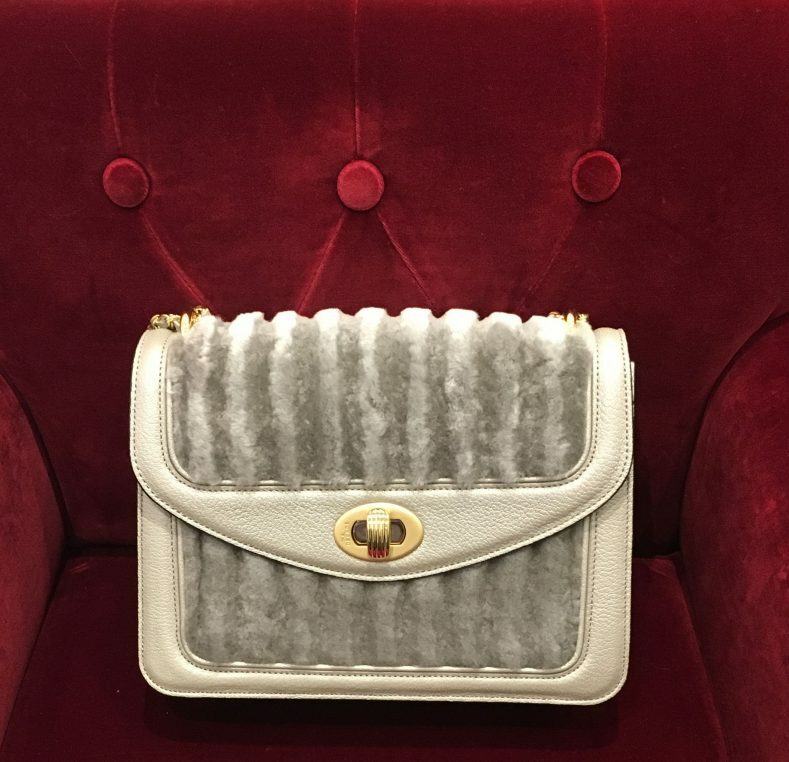 And Java, a small but very convenient bag in two parts, with red lining and enough space to put a book and a half baguette… and the charming evening bag Ginette with mutton fur. A real Teddy Bear. The design of all Delage bags is carefully planned with discreet clasps and often contrasting chic stitches. Philippe de Vilmorin, a true gentleman, who catches four sarans” with three hooks!. Made by hand by the greatest artisans, these bags are lined in red leather and have a sweetness to themselves that is irresistible. The little shop on place du Marché Saint Honoré is painted bright blue on the outside but is more subdued inside. 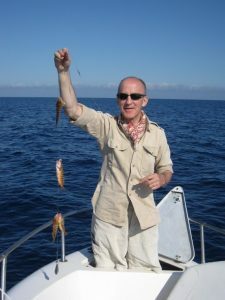 Philippe de Vilmorin did not go into plants nurturing like his famous ancestors nor into literature like his aunt Louise, but spent his whole career in ready-to-wear. 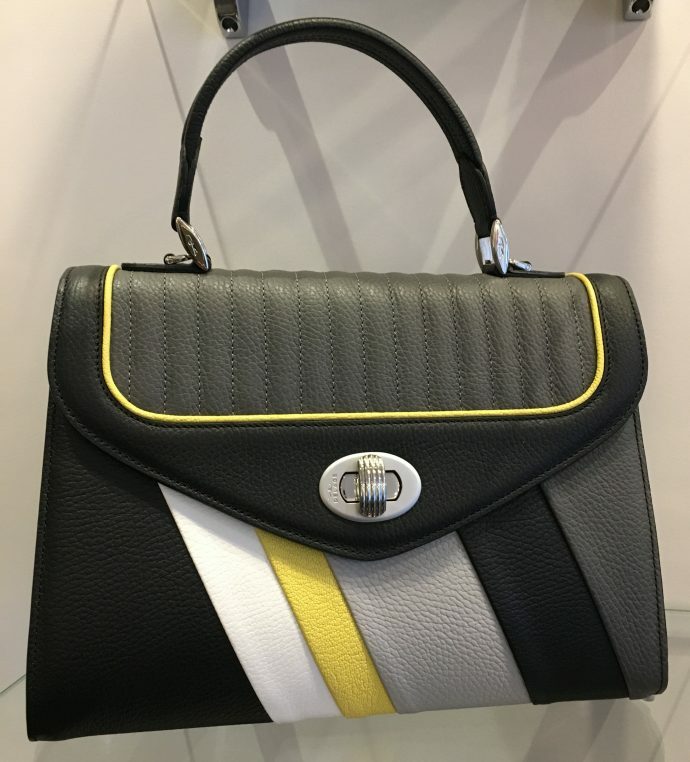 He decided to buy the brand from the Delage cars and use the tradition of beautiful leather to create a line of timeless handbags. The logo is always discreet and the design super elegant.